SCVHistory.com LW3006 | Film-Arts | 'Shanghai Rose' Lobby Card (Trem Carr 1929). 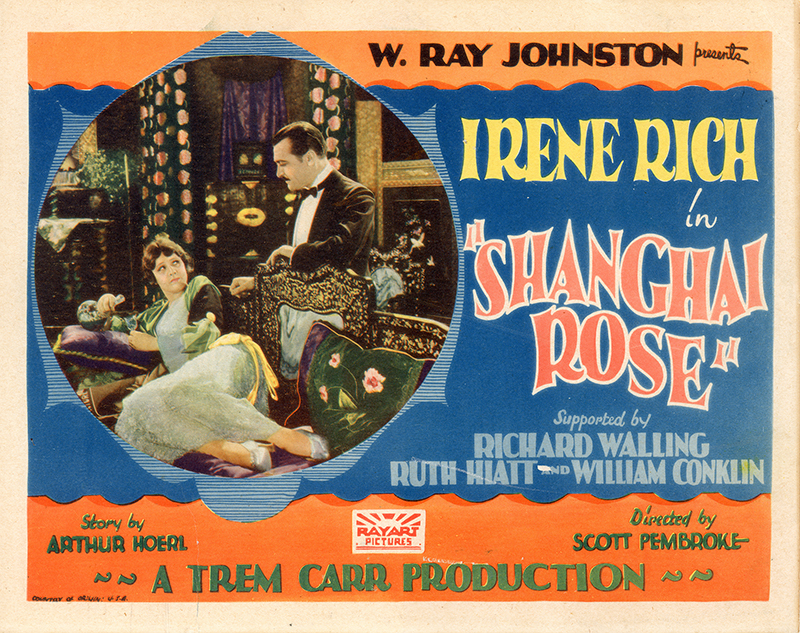 11x14-inch lobby card for "Shanghai Rose," a relatively early Trem Carr production, distributed by W. Ray Johnston. Directed by Scott Pembroke; cinematography by Hal Depew (a Carr regular); featuring Irene Rich as the title character, William Conklin, Richard Walling, Ruth Hiatt, Tony Merlo, Syd Saylor, Robert Dudley, De Sacia Mooers	and Viola Porter. Carr also rented the occasional studio space on Poverty Row (Gower Gulch) in Hollywood. Not having seen "Shanghai Rose," we don't know where it was filmed. 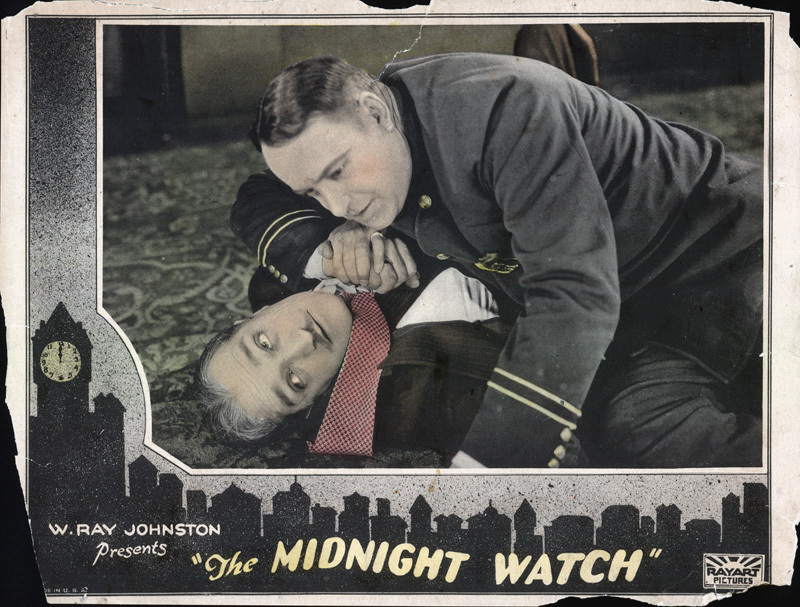 The movie probably no longer exists; more than half of all pictures made before about 1930 are lost, and this appears to be one of them. All that's left are lobby cards and other promotional ephemera. LW3006: 9600 dpi jpeg from original lobby card purchased 2017 by Leon Worden.